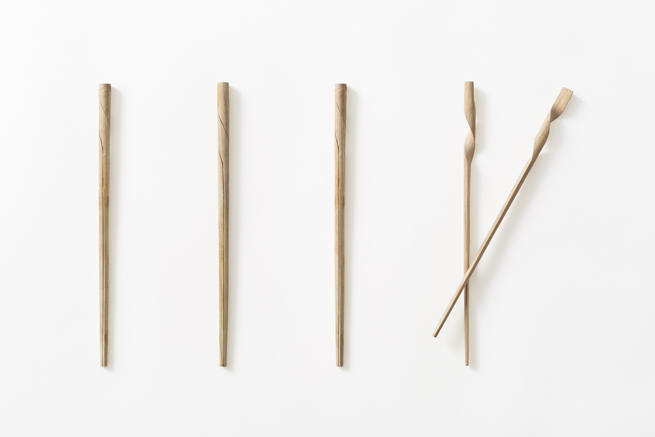 For four centuries, the town of Obama in Fukui Prefecture, Japan, has manufactured lacquered chopsticks. 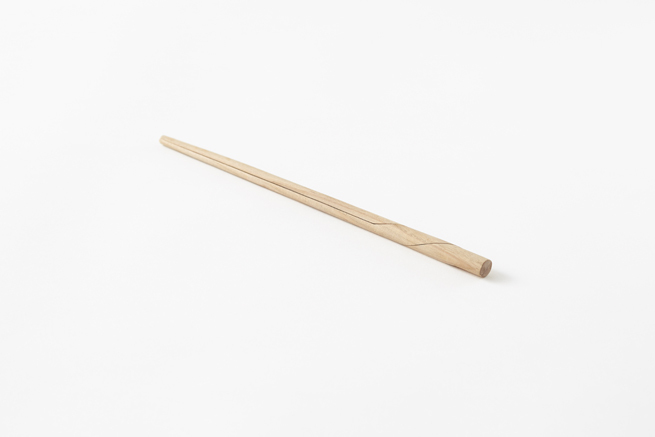 Obama’s lacquered chopsticks have been recognised as the hardest and most beautiful of Japanese lacquer chopsticks since the seventeenth century, when they became known as ‘Wakasa-nuri’. 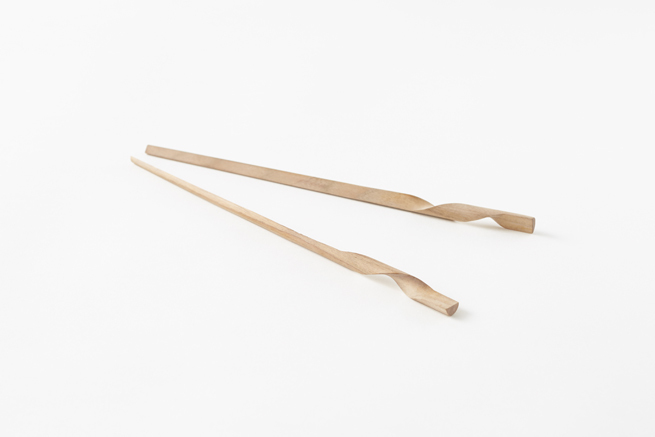 We designed new chopsticks in collaboration with Hashikura Matsukan, a manufacturer who continue Obama’s traditional manufacturing techniques today. 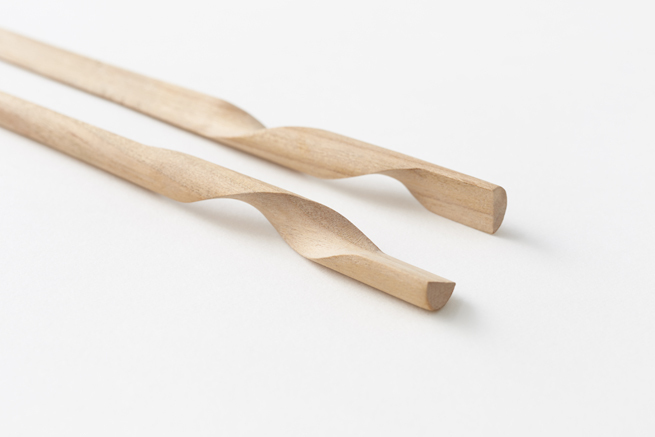 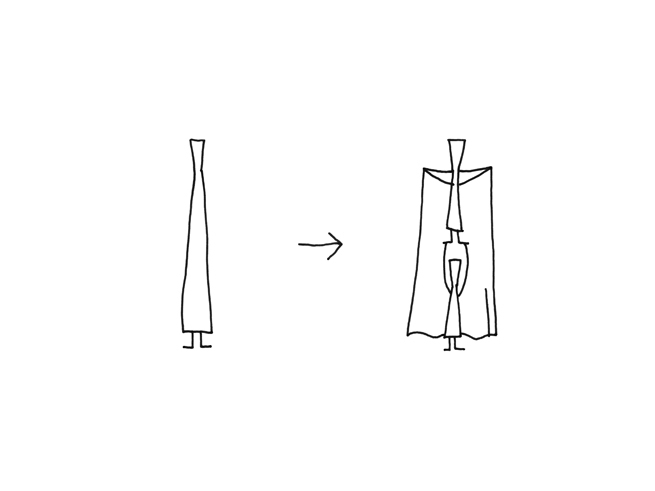 Chopsticks ordinarily come in pairs, but the rassen chopsticks are a single unit. 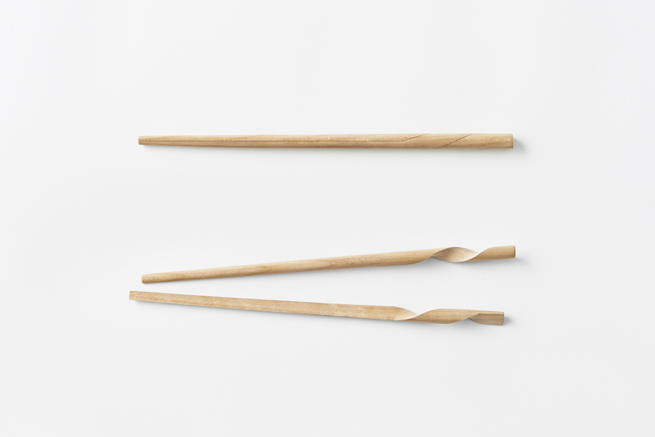 They’re separated into two for eating, then rejoined into one form when not in use. 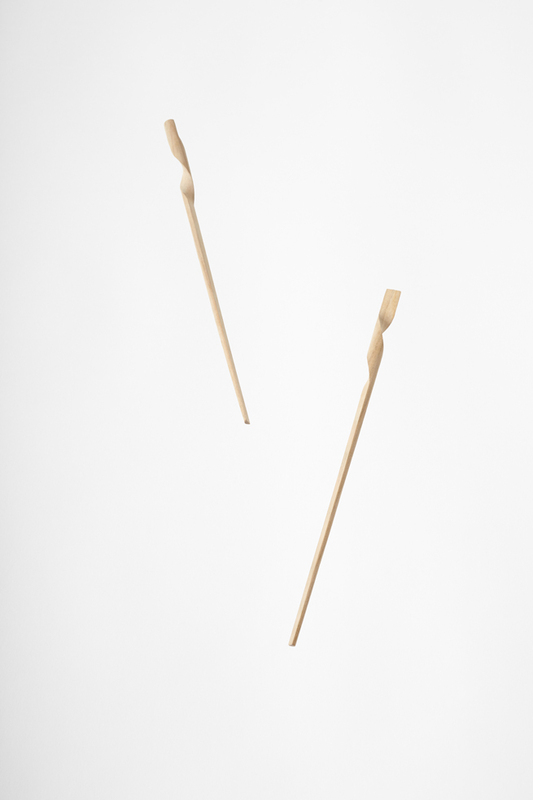 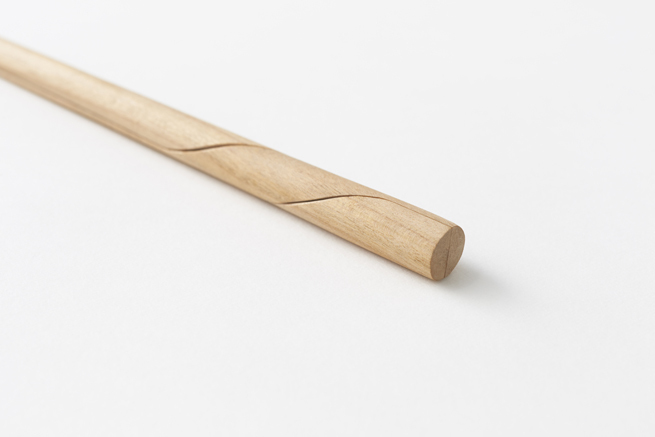 We used the artisans’ hand skills and a multi-axis CNC miller to create these unusual chopsticks.